Connecticut’s minimum amount of auto insurance liability coverage is going up on January first. A new State law increases required minimum liability coverage from $20,000 per person, $40,000 per accident for bodily injury and $10,000 per accident for property damage to $25,000, $50,000, and $25,000, respectively. It also increases the minimum amount of Uninsured Motorist coverage required from $20,000 per person and $40,000 per accident to $25,000 and $50,000, respectively. Vehicle owners are responsible for increasing their coverage before January 1, 2018. 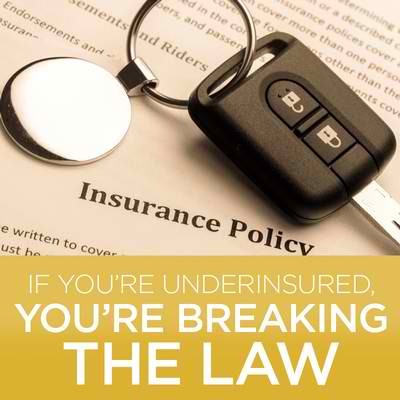 Your Tracy-Driscoll Representative can help make sure you’re covered for the new law. Better yet, give us a call and we can create the right plan to protect you and your family from the financial injuries that can follow an auto accident.